On June 18, 2016 - Our Executive Director Jim Wiard - walked across the stage in San Francisco and received the Chris Christenson Association Executive of the Year Award! We are so proud of Jim and all he has done for our members, our association and our industry! Under Jim's leadership, we had a record-breaking 2015! 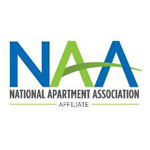 WMFHA won the NAA Membership Growth Challenge for highest growth in unit count with a 25% increase in member properties, 33% increase in member management companies, and 21% rise in supplier members. We also established an Eastern Washington Chapter and two Eastern Washington Councils, hosted the national Government Affairs Roundtable and Legal Symposium, and had a record number of designation students take classes. Personally, Jim (who holds the Certified Apartment Portfolio Supervisor credential) taught financial management and budget boot camp classes for association members. Our growth and strength in numbers allowed us to promote a local deceased tenant law bill that passed the legislature. With all of this, Jim never lost sight of the larger community, as WMFHA developed a Community Service Committee and held our first ever Volunteer Impact Day to renovate three houses owned by low-income homeowners and veterans, while also adding a charity component to our Holiday Gala to raise over $17,000 for a charity that serves abused, neglected and at-risk children - among other community service events and donations. We are so proud of Jim and appreciate his leadership and commitment! If you would like to congratulate him - drop him a note at jim@wmfha.org! With all this great recognition - we are excited for the future and know even better things are ahead! !